A huge opportunity came my way this week — my principal asked me to set up blogs for all our teachers. This is so exciting! I’ve noticed three different types of blogs teachers may be involved in — the professional development blog, the classroom blog, and the student blog. We’re interested in the middle one — where a teacher blogs what’s going on in class for parents and/or students. My principal thinks the blogs are awesome for publicizing homework and projects. I know, of course, that a good classroom blog can do so much more. Fortunately, besides this professional development blog, I’ve blogged for a little over a year for a physics class I taught. The students loved when I shared YouTube videos, the parents were thrilled to know what was happening in class, and I turned in the blog posts as my lesson plans which made me ecstatic. Three other teachers at my school started blogging based on my success. I’ve posted before about how to blog for the classroom. At that time, I was interested in thinking about how to get new blogging teachers to write great posts that students want to read. I’ll be responsible for getting classroom blogs set up as a project to introduce to teachers in August. What are your thoughts on my primary questions? Why and for whom are the teachers blogging? I need a good answer here to recruit believers. 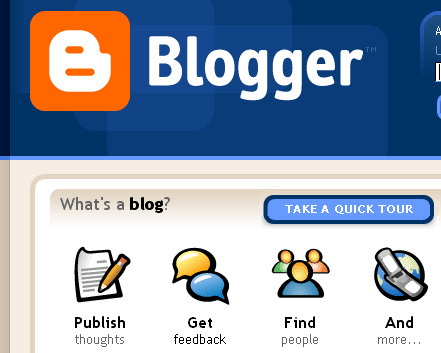 Should every teacher be required to have a blog? What are the important points to teach new bloggers? If a teacher isn’t already reading blogs, there’s a lot to teach here. This can be a very exciting time for my school. Class blogging giant Mabry Middle School is located near us and I think we could do well to model ourselves after them. Please leave your feedback for me — I’ll be presenting this in August to the teachers. Good luck! I’m sure this will begin to transform your learning community! Thanks so much for the vote of confidence, Dr. Tyson!